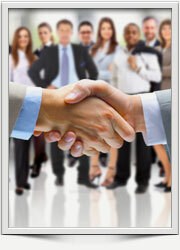 For us, a successful partnership is the one that provides maximum benefits and opportunities for all parties involved. We constantly seek to enrich our portfolio by establishing strategic partnerships, in order to create the best opportunities for you. VIVA Telecom services operates on an infrastructure available both nationally and internationally by partnerships with national and international suppliers.